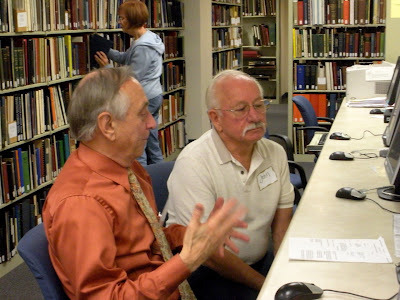 The California Genealogical Society Library was a recent stop for some busy genealogy enthusiasts from Santa Clara County. CGS member Pat Burrow is the designated "chief" of the Santa Clara Gen-Study Group and she arranged a visit to the library on Wednesday, October 7, 2009. 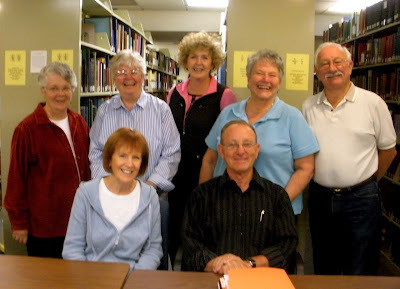 The fifteen dedicated researchers have been "on their own" for about a year now after five years of meeting regularly with Marcia Murray Holstrom's genealogy class. Members visit archives and libraries together but they also meet weekly at each others' homes. They meet to discuss case studies and book reviews and they take turns boning up on a subject and sharing their knowledge with the whole group. Recent talks have been about genealogical brick walls, recommended websites and "how-to"software sessions on Excel and Reunion for Macintosh. The seven who made the trip to Oakland were John Turner, Dave McCready, Pat Solomon, Anne Hendricks, Suzanne Hastings, Mary Ann Casella and Pat Burrows. I'm pleased to note that in addition to Pat – Dave and Anne are CGS members. Mary Ann joined today so now a majority hold membership! 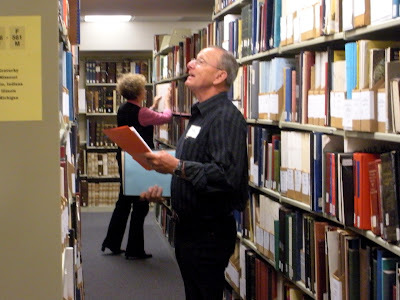 CGS welcomes interested groups to tour the library and spend time exploring our genealogy resources. 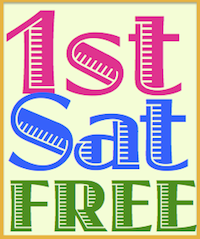 Email the society or call 510-663-1358 to schedule a group visit. Photographs by Kathryn Doyle, 10/7/2009, Oakland, California.